Woo hooo. This is my first official post to NEPA Blogs. You can find my official blog here (Warning: it is not always rated "G"). I would like to thank Gort and DB Echo for making me a contributor -- Thanks guys! Inspired by the Susquehanna - The theme of this year’s competition promotes the power of artistic expression to enhanceawareness and stewardship of the Susquehanna River Watershed. Work does not have to depict the river. 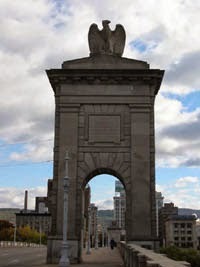 Artist must be a resident of PA, NY or MD. Original work must have been created within the past three (3) years. A maximum of three pieces may be submitted and there is a $20 entry fee for each piece of work. Painting: Oil, acrylic, watercolors, or mixed media, painted ona two-dimensional surface. Photography: Black & white or color (digital or film) photography. Works on Paper: Prints, drawings, pastels or mixed media on paper. Rob Evans, artist and curator of the Visions of the Susquehanna exhibition and a Wyoming Valley native, has work displayed at the Metropolitan Museum of Art and the National Gallery, among many others. His work is also repreented in many private collections. The exhibition will be presented at the Luzerne County Courthouse, which celebrates its centennial in 2009. There will be a gala opening reception on October 10th, and the exhibition will run through October 7th. Submissions must be postmarked no later than August 20th. A total of $1,100 in awards will be presented in each of the three categories, as well as Best of Show. Complete instructions and a form which must be submitted by all participating artists are available in the Call for Artists (PDF 548k). The Call for Artists may also be obtained by calling the Cultural Council at 570-408-4439. Please leave your name and complete address. 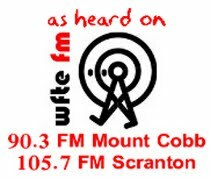 **The Cultural Council of Luzerne County has been added to the sidebar as well. ***NEPA Power has been added to the sidebar. 4:07 PM Edit: Apparently I don't have the proper access to add links to the sidebar/blogroll. I'll send DB an IM and have him add these, until then, please use the links in the above blog post. Thanks! I finally sat down and added all - well, most - of the blogs Gort and I have been collecting since the last sidebar update and added them to the sidebar! I also removed dead - which I defined as "not functioning," not simply "not updating" - and cybersquatted blogs to a section at the bottom of the sidebar called "City of the Dead." Some blogs I didn't add because they appear to have gone dead since Gort or I first mentioned them in a post. One blog, which appears to have been updated quite recently, I didn't add because every time I went there, I was inundated with pop-ups (blocked, of course) to the point that I had to Ctrl-Alt-Delete my way out. This isn't the only blog that hit me with pop-ups, but it's the only one that has affected me so strongly. Maybe I can get a message to the blogger and we can see if there's anything they can do to fix this. One for the NEPA Sports Blogs section. From the Scranton Times-Tribune site. From the first entry: Don't expect a lot of overt opinion or taking sides here. The ground rules remain the same as for the stories I write for the newspapers. Fairness, accuracy, objectivity as much as possible. But there could be a little more of what journalists call, "Fair comment." I'm always a little uneasy about linking blogs like this. This link does not in any way imply endorsement, any more than links to any of the other blogs on this site imply endorsement of their content. Still, it's written by someone from NEPA, so it fits the NEPA Blogs criteria. Well, it hasn't been updated since October 29, 2007, but still... Another one for the Sports section. A personal network of sites by an application developer from NEPA. Includes a blog. 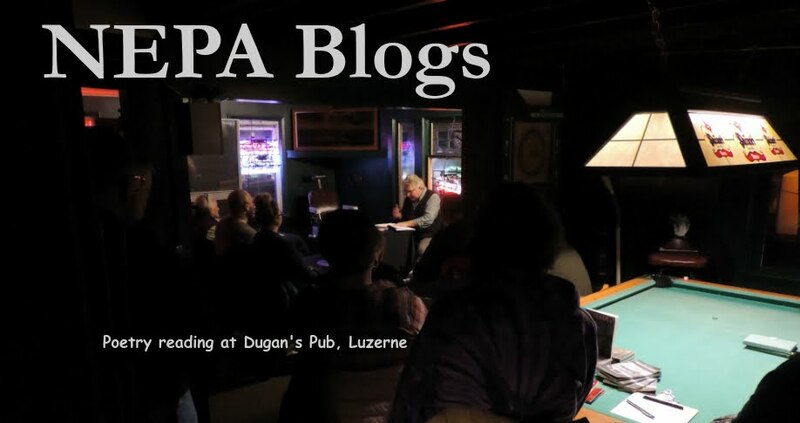 A weblog connected to the PA on the Go website, which is linked in the Sites About NEPA section. The old site NEPA Rainbow Alliance blog appears to be dead, but this one is very much alive. Phew. Now I have to add all of these to the sidebar. If anybody has any others, please let us know! or How I Stopped Attending Classes and Began the Great Job Search. This blog highlights my freelance work in print publications as well as my published and unpublished creative work. Below you can find links to my other blogs as well as websites of interest and websites of friends. A young progressive's take on the issues, politics, and other musings. "Local Values" is a blog that focuses primarily on Pennsylvania politics and public policy. The blog will evaluate and comment on topical events using the principles of: federalism, fiscal conservatism, judicial restraint, and the protection of individual liberties and freedoms. Very comprehensive collection of blogs guys. I've added you as a link on our network. Enjoy! The network Shawn referred to is called Postranger.com. 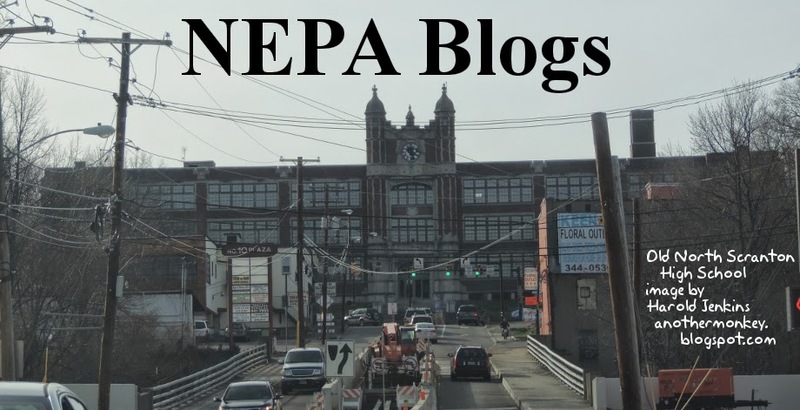 Like NEPA Blogs, it's a link site, designed to increase connectivity on the Internet, among other things - see the introductory post for details. Shawn was originally from Northeastern Pennsylvania, but now is based just to our south in the Lehigh Valley. He gives NEPA Blogs a shout-out here. Michelle from mhryvnak.net/blog had the best time in her age group in the annual Bernie's Walk in Wilkes-Barre on July 4th. 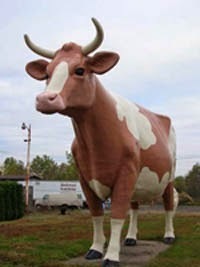 She sent a link to NEPARunner.com, "Promoting Running primarily in the Wyoming Valley and surrounding areas." If you know of any sites that we should be linking to on NEPA Blogs, please leave a comment or send an e-mail! "We want people with disabilities to advocate and socialize toward their independence. Past disability leaders have made great progress on the road to equality by breaking down barriers. We need you to continue what they started. This blog is a step in that direction. We are here to help. Together, we can, and do, make a difference." Even a turtle gets nowhere until it sticks its neck out! That's what we're doing with this first ever youth disability blog designed especially for you. We've held consumer advisory meetings, done consumer satisfaction surveys and provide periodic anecdotal information about what it's like to be a person with a disability and the issues we face. Yet, we've never done the 'free form' of blog, or web log. This forum will give you the opportunity to chronicle your views on a variety of subjects which should be disability related. We also ask that you keep it free of profanity and any words or thoughts implying hate. Remember, we don't hate people, we simply hate some of their behavior. And THAT can be changed. We hope that some change is what comes out of this. If you don't want the 'public' to see your commentary but want to share it with me you can reach me directly at dloftus@nepacil.org. So, welcome and remember: together, we can, and do, make a difference. You can also check out the NEPACIL website at http://www.nepacil.org. I was experimenting with seasonal themes for the pictures on NEPA Blogs for a while, but after Winter hung around for nearly two-thirds of a year I decided to take Michelle's suggestion and go with a four-seasons theme - which means I'm going to use pictures from all different times of the year, and try to have at least one for each season if I can help it. 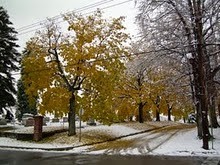 Which really isn't the case with the pictures I have up right now; three of the four that were taken by me were taken within a two week span in October 2005. I'll go through my archives for pictures that feel representative of Northeastern Pennsylvania. If anyone has any pictures that they would like to share, I'll be happy to post them in the sidebar, header, and footer of the site.